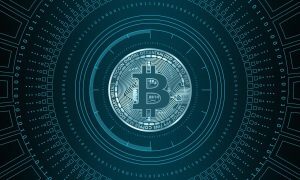 Cryptocurrencies have risen in popularity in 2018, thanks in some part to the introduction of blockchain technology to the financial world. When it comes to business, it is not surprising that a one-world approach no longer puts the same value on a single currency exchange system. As the world adopts a multidimensional view on cryptocurrencies, it is rewriting the rules on global currency exchange and traditional business model practices. Before the invention of bitcoin in 2009, banks processed financial transactions. Even after the emergence of bitcoin, it originally was a private investment entity. As more information came out about it, investors began to see a disruption in worldwide industries. It has been the media coverage that has led the charge on how cryptocurrency technology had the power to create a global entity that no longer required banks to perform critical transactions. As the values grew, so did the notice of the industry giants who first complained and then invested in cryptocurrency to stay relevant in the financial sector. It is the interest in it that helped bitcoin grow beyond interest and into a global financial anomaly worth investing. 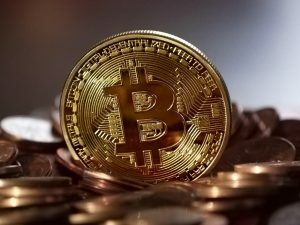 It was the initial interest in bitcoin that emboldened other companies to venture into cryptocurrency transactions which expanded the financial security of blockchain technology standards. While investment in cryptocurrency has been relatively limited in scope to global consumers, its popularity is widening the gap between traditional and nontraditional financial obligations, which means that as its usage expands so will the access to it. Mainstreaming cryptocurrency will undoubtedly expand company policies to include consumer-related investment opportunities. Business expansion will also see many breakthroughs since crowdfunding is now enabling startups the opportunity to use blockchain technology to support its growth and development. Such usage of cryptocurrency also has helped bitcoin network anywhere in the world as transactions pass through decentralized applications. Newer cryptocurrencies like ethereum, litecoin, dogecoin and EOS also can scale products and services by adding decentralized applications that make them the better choice for consumers socially and economically. Cryptocurrency also enables developing nations the opportunity to bypass traditional financial systems, which is why digital currencies like bitcoin soar about price norms since companies traditionally lose revenue sending and receiving money across multiple borders. Now that companies are integrating cryptocurrencies as financial assets, it is changing how quickly they connect with their buyers and sellers worldwide to close out transactions. Not only do companies transfer money across borders easily but they lower their overhead costs and run their business functions more efficiently. 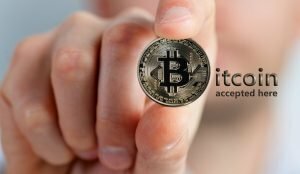 While it seems easy enough, it should be noted that buying and selling with cryptocurrency is not a perfect answer to financial business dealings, but it is an ideal secondary source for businesses and consumers who offer digital currency as an alternative source, which includes rather than excludes market participation. Even with the onset of bitcoin, it took the world by storm. While initially the financial institutions tried to prevent its expansion into their local markets, consumers set the record straight and promoted its usage as a form of transaction payment. Traditionally, those institutions controlled assets by offering credit cards and bank accounts. Now that the digital age has entered financial transactions, it has forced those same institutions to invest in cryptocurrencies to stay relevant. As financial institutions change their business models to include cryptocurrencies, it will begin to disrupt not only transactions but consumer practices as well. Most people who are born into the digital age see cryptocurrency as a norm. It is the more conservative consumers that are untrusting of digital currency, which is where disruption occurs. Some consumers want to store dollars in traditional formats, and there may also be a distrust of online digital storage. As more milennials tend to prefer digital stores, the market is adjusting more quickly to their uses. Now that governments are moving their currencies to digital wallets and determining new ways for moving their assets, their citizens will also feel more comfortable with digital storage. You will also see more federal and state agencies turn to digital currencies for public utilities or parking meters. As more markets invest in and accept cryptocurrencies, it will disrupt industry standards further. As smaller businesses take advantage of open currency systems, Bitcoin Loophole review applications will further help them compete with larger entities like Amazon or Walmart. When looking at industries from a financial standpoint, it is not difficult to imagine larger companies like Uber and Airbnb using smart contracts to disrupt their industry further. There are jobs being created as developers get into cryptocurrency. By using digital tokens to perform typical business transactions, it opens up products and service access while using tokens to retain financial control of their assets. It also opens up the availability to consumers of previously unavailable products and services as cryptocurrency redefines how global business operations restructure to make way for blockchain technology transactions. Cryptocurrencies and blockchain technology are disrupting more than just the financial sector as they transcend into multidimensional organizational levels. It also affects self-employed contractors and local-level companies who may not have previously had the infrastructure to invest in cryptocurrencies. While these smaller industry players were limited in their local markets, cryptocurrencies and digital access now make them more marketable globally. As more cryptocurrency networks become available for public participation, it will cause a ripple effect that will eventually form into a shock wave felt all around the world. Until this year, cryptocurrencies were alternatives to traditional payment methods. With several high-profile press releases that spotlighted cryptocurrency and blockchain expansion, their prices soared, which caused publicly traded stock markets to take notice. As more notice reflects trending support for the digital currency, it will also put pressure on businesses to invest before their availability max out such as we see taking place with bitcoin. 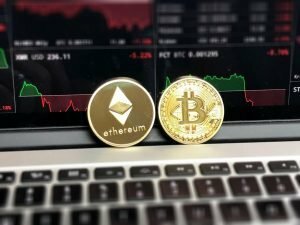 Perhaps it is the reason why lesser traded cryptocurrency coins have rallied recently in anticipation. As bitcoin successfully infiltrated markets, investors are also now looking for the next bitcoin opportunity. 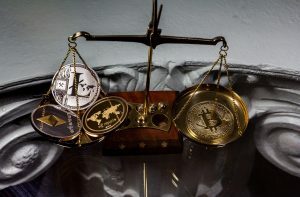 As they proved time and again, if the value of cryptocurrency can triple in value in just a single week, the same mindset connects to the rising value of stocks whose portfolios have cryptocurrency and blockchain technology attached to meet the supply and demand.